There is only one tip we can give you about Weslo exercise bikes, and that is – spend a little more money and get a better brand. Weslo exercise bikes are produced by the giant ICON Fitness, the worldwide conglomerate that also makes ProForm, Epic, HealthRider, Image, NordicTrack, Free Motion, and Reebok fitness equipment. Weslo is the corporation’s budget brand for treadmills, crosstrainers, and bikes. Weslo’s line of upright and recumbent exercise bikes ranges in price from $99 to $249, with most of them under $200. The basic features include 5 pre-programmed workouts and large LCD windows. The recumbents have convenient step-through frames for easy mounting and some models have built-in speakers and a compatible music port for an iPod. 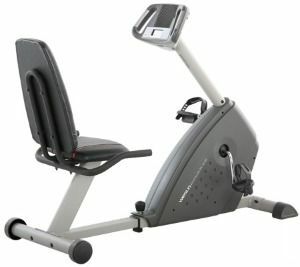 Here is a short list of some the numerous problems users have with Weslo exercise bikes: the cheap heart rate monitors are not accurate (when they work), the fan is very weak, the speakers are tinny and not good quality, the frame feels cheap, the flywheel is noisy, and there are some assembly issues with bolts being hard to tighten. Take special note that the warranty coverage is only 90 days long. That should give you some idea of what Weslo thinks of the bike’s durability. But the most important point to mention is the inevitable wear and tear on the resistance system. Reviewers have found that once the belt stretches, the tension is gone and the pedals spin freely (no resistance); hence, no real workout. You then will have to replace the belt if you want to get any use out of your $150 budget machine. Replacement parts are pricey and we won’t even mention the aggravation you will go through if you have to call Weslo customer service for help. A Weslo? When You Can Have Anything Else? Read some exercise bike reviews written by Weslo customers and you will see a mix of responses, some satisfied, but many unhappy customers. These bikes are cheap by exercise bike standards, the average Weslo model sells for around $169. But if that is all you can afford, then $169 is a lot of money to put out for an unreliable bike. We suggest you forget about buying any sort of extended warranty contract to cover breakage. It is better to just buy a better bike rather than waste money on a Weslo. With absolutely any bike in the world available to you online, it is a head scratcher why anyone would choose one of these Weslo exercise bikes when there are affordable, better quality, value-driven bikes available from companies like Stamina or Schwinn. Weslo Pursuit R 4.8 Recumbent - Weslo's top-of-the-line model. However, the weak 90-day parts warranty is a red flag that this model is built with cheap components on a flimsy frame. Weslo Pursuit CT 3.8 R Recumbent - Easy to assemble and remarkably quiet. If you need a cheap bike for warm-ups or Physical Therapy, this model could work well for you. Weslo Pro 11.0x Recumbent - One of the better models the company produces. Durable for users up to 250 pounds, yet nimble enough to move out of the way on its transport wheels when not in use. 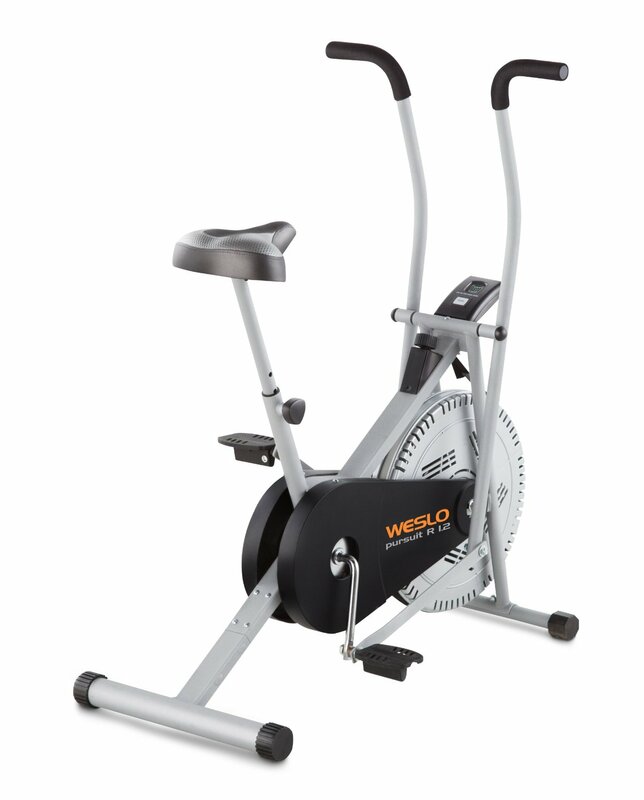 Weslo Pro CTX Indoor Cycle - An amazingly quiet chain drive model, well-made, easy to assemble, and the price is ideal for a budget spin bike. The Weslo Pursuit CT 1.5 Upright - This compact exercise bike sounds like a bargain, but you won’t think it such a good deal when it stops working after a few workouts. Weslo Pursuit G 2.8 Upright - The Weslo Pursuit G 2.8 costs around $170 but we wouldn’t recommend it if it sold for half that amount. Weslo Pursuit S 2.8 Upright The Weslo Pursuit S 2.8 is rather flimsy and we can’t imagine this little bike can hold a max user weight of 250 pounds as well as the pounding torque of a vigorous workout.